Relationships are breaking for small issues nowadays, which should never be the case. 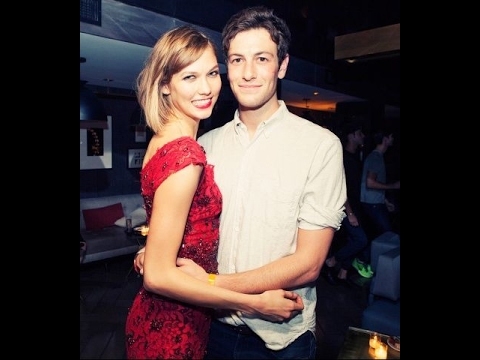 Karlie Kloss' relationship with her boyfriend Joshua Kushner is strong enough to deal with such small issues. Karlie Kloss, also known for her unusual walk currently is dating Joshua. They are a pair since 2012 and are still together. The couple didn't hide their relationship from media rather they are openly in a relationship. Their fans are happier with this fact. So, without any delay let's know the relationship of Karlie and her millionaire boyfriend. Also, know their affairs. Joshua Kushner is an American businessman and investor and is also the managing partner and the founder of the investment firm Thrive Capital. Not only that, but Josh is also the co-founder of health insurance startup Oscar Health and Cadre. Son of Charles Kushner and brother of Jared Kushner, Joshua was born in 1985. He is an American Businessman and investor whose net worth is estimated as $200 million. His father, Charles has a net worth of around $500 million and it seems he is following the path of his family as we see both Joshua and Jared progressing good in the business field. Karlie Kloss: "No Plan to Fall in Love but it Happened"
Joshua and Karlie saw each other while they reportedly attended Victoria's Secret party at the end of 2012. It didn't take much time for them to know they were attracted towards each other and soon they started seeing each other. In an interview with metro.com, Karlie admitted she never planned to be in love, but it happened. The couple has been dating since 2012 and they are enjoying their togetherness as they talk freely as a couple in media and to the public whenever possible. Though they are loyal to their relationship, they don't have any plan to get married till now. The couple right now seems to be focusing on their career as the couple for nearly five years still haven't announced anything about tying the knot. Looking at their past records and relation with media we suppose they surely will announce the wedding news if they plan for it. So, as we haven't heard anything about Karlie's wedding till date they must not have any plans of getting married soon. Karlie Kloss and Joshua are now in their four years of relationship. Recently, on her Instagram page, Karlie posted a photo, where she is seen trying to kiss Joshua. There, she mentions about their four years' of relation. She further explains that she will be loving him every day. four years ago today I met my best friend ???? I love you more everyday. Karlie at the age of 14 began her career while she first posed for the editorial shoot for June issue Scene Magazine in Chicago. After that, she started appearing ramp walk. Her runway walk is unique and is often described as powerful. Karlie has featured on September cover of British Vogue and many more. She has even worked as Victoria's Secret Angel from 2011 to 2014. “Kloss represents the gold standard of modelling - a girl with the look, the poise, and the drive to take things to the next level”. Karlie was once called "Too Fat" and "Too Skinny" by the casting agent but she didn't lose her self-confidence and today what we have today in front of us is a renowned Model who has a strong position in the fashion industry. We hope Karlie and Joshua will soon inform us about their wedding plans. Best wishes for their career and love life. For more updates stay connected to Frostsnow.com.